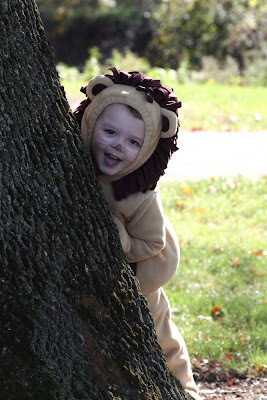 Excuse Me Doctor, I'm Not Lion! Can you even stand how cute these are? 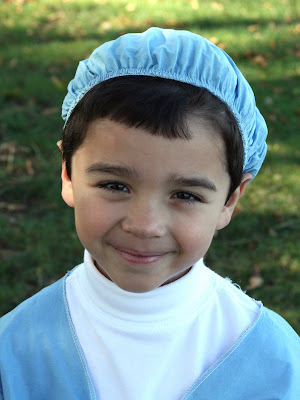 We went to a local park to snap some photos of the boys in their Halloween costumes. Our traditional Halloween pics while trick or treating are usually too dark, so we decided to try something different this year. I'm glad we did! 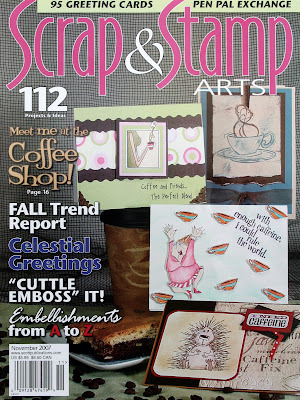 I was pleased to find out that one of the cards that I mailed to Scrap & Stamp Arts magazine had been accepted for publication in their November 2007 issue. They returned my "Love You a Latte" card with a little postcard and the good news. What I didn't know at the time was that they had also accepted and published a Stampscapes card I made called "Magical Evening." What a great surprise! And big thanks to Di Hickman for her cool technique of color-highlighting published projects for display like the ones pictured above. I have enjoyed watching her share her publications and thought it would be a great idea to try. Thanks, Di! I am working on projects this week based on faith and religion. It is in response to a book call, but I feel especially called to create these projects for a variety of reasons. I'll be sharing more projects in the next few weeks. This card was one of my favorites of the bunch. 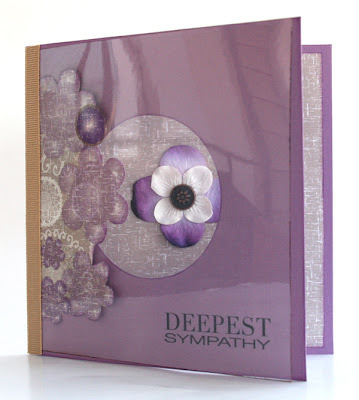 The simple but heartfelt sentiment and dramatic products make it very striking. 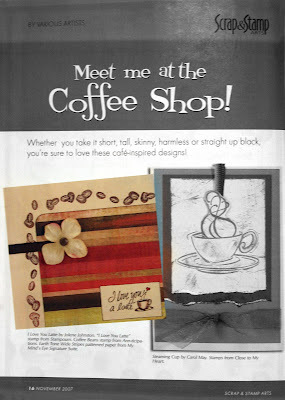 I have been a cardmaking fool lately but hope to put my hands on more scrapbook layouts this weekend. 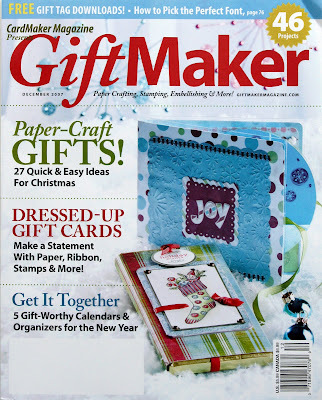 So here is my first actual paying publication featured in the December 2007 Giftmaker magazine. It's a perpetual calendar I made for my mother in law. 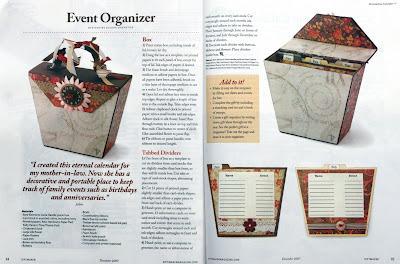 It has tabbed dividers to write in birthday and anniversary information for each month. The project was also shown on the table of contents page. So cool! I am trying to remember to take photos of my published projects to share with you. I have two others to catch up on. Stay tuned! 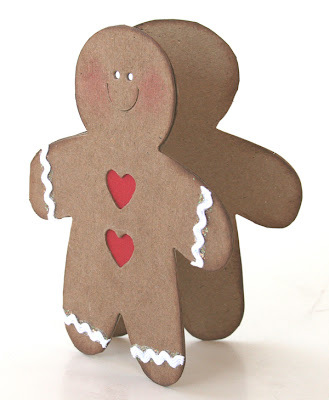 I am teaching a class at Scrapbook Corner that deals with felt die-cutting, stitching and beading. Here's a sneak peek of the layout I made as a sample. 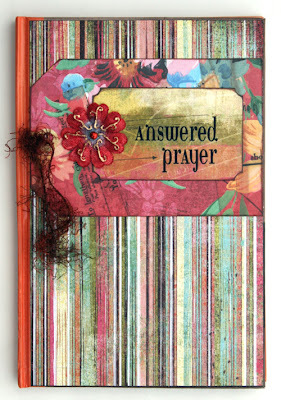 You'll also notice that I used one of my other favorite products - fibers. There's something about warm and fuzzy materials like this that make me feel cozy now that the Indiana weather has finally turned (appropriately) chilly for October. What things make you feel all warm and fuzzy? This week I had the chance to start a new forum at Basically Scrapbooking about the latest scrapbooking trends in America. My friends in Australia often have to wait several months to receive the newest products from American scrapbook companies, so our hope is to provide them with plenty of eye candy until their goodies arrive. Our first topic was the trend in clear supplies such as transparencies, acrylic albums and ghost shapes. I made the mini album above using clear badge holders from the office supply section of Walmart and doublesided Daisy Bucket Designs papers. This card was made for a friend at church who lost her father. It also features the same Daisy Bucket Designs papers and an office supply transparency. I have some other clear projects that I have made for 2Jills that I'll be sharing soon. Today Matthew and I enjoyed a morning at Tuttle Orchard in Greenfield, Indiana. The weather was sunny and beautiful, just perfect for apple and pumpkin picking. Matthew was determined to pull his own wagon and managed to make it over the bumpy paths. The orchard also has an interesting honeybee display in a large glass wall. Visitors are able to see the bees in action without any fear of getting stung. There is also a window to see the tube behind the building where the bees enter and exit the display. We finished our outing with a trip to the farm store and came home with fresh apple cider and apple butter for Scott. I have quite a few photos to scrap! 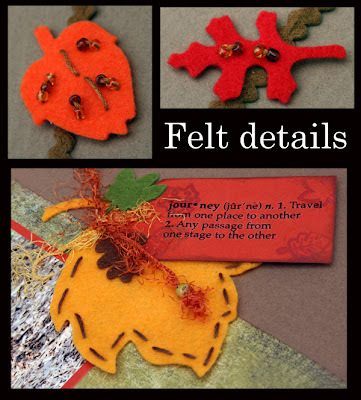 This weekend I have been busy making cards with the October card kit from 2Jills which is available here. 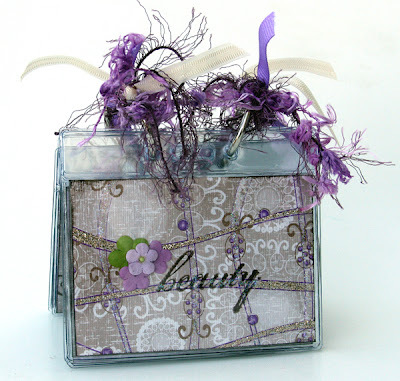 There are some lovely papers, trims and unusual tidbits from Etsy in this kit. There's even a clear stamp made especially for 2Jills. The Jilles are busy brewing up some samples, so be sure to stop by and take a look. I can hardly believe it!! 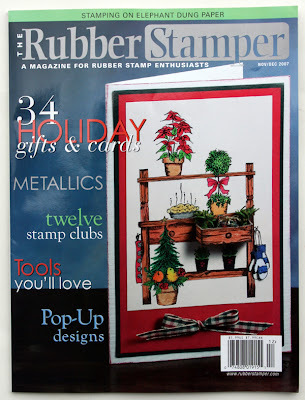 My Christmas potting table now graces the cover of the November/December Rubber Stamper magazine. It is the last issue of this magazine ever - it was sold to a new publisher who will roll its contents into another magazine. 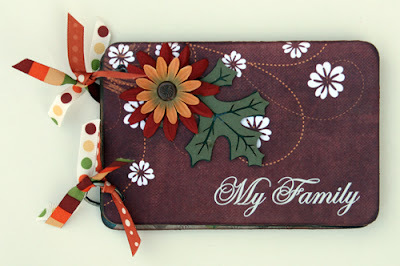 They also published the instructions for making this card as well as three other seasonal variations on pages 26-27. 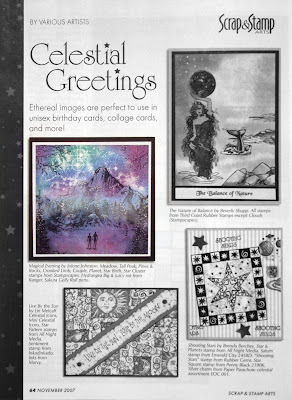 If you're near a craft store newsstand in November please take a peek!! for 9 days. It's been a long week. 1. I hate maple syrup. 2. I have never had a pedicure. 3. The smell of StazOn ink makes me insanely happy. 4. Fibers might as well be a food group in my scrapping. 5. Scott and I met in 1989. Do the math on that one, kids. 6. 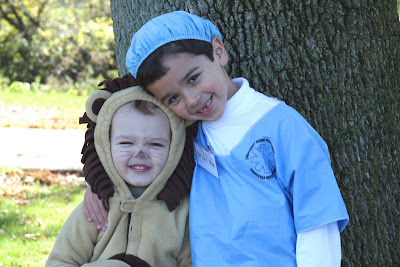 My two boys drive me crazy and melt my heart all in the same breath. 7. I believe that cleaning and housework are required torture. I made a ton of cards during World Cardmaking Day weekend and even made a few ATCs. There are some great photo ops happening this month with the boys, so I hope to get back to scrapping layouts more in the near future. Stay tuned. Today we went to the Renaissance Faire in Fishers. The heat reached nearly record highs today with temps in the 90s, so we didn't get to stay very long. The boys enjoyed games, music and food. Hopefully next year it will be cooler so we can stay for the entire day of merriment. 2Jills is smack dab in the middle of its grand reopening celebration. We are hosting challenges and games all month long with lots of fun prizes. The fabulous Becky Fleck of PageMaps fame has created a special sketch for us to use for our event, check it out here. 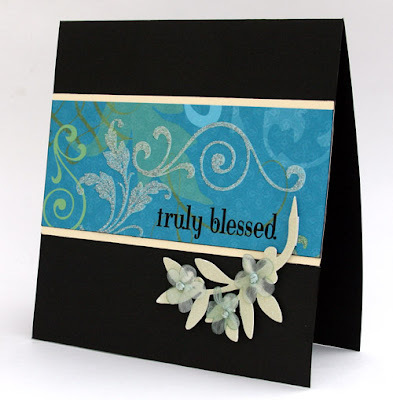 To celebrate World Cardmaking Day we're holding a Card-A-Thon weekend. And guess who is supplying a special card sketch just for us, sketch-guru Di Hickman! 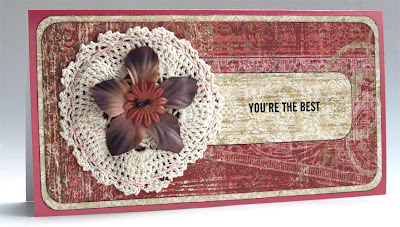 Here'a a sneak peek card for a challenge I'm hosting to get your creative juices flowing. See you at the party! A few months ago I was invited to guest design for A Page in Time kit club. They offer 3 mini kits each month based mainly on patterned papers and one coordinating item such as alphas or rub ons. I showed a sneaky peek of these projects last month, but I can finally share all the projects I made with their October kit. Click here to see my work, and start the slideshow when you get to their site. 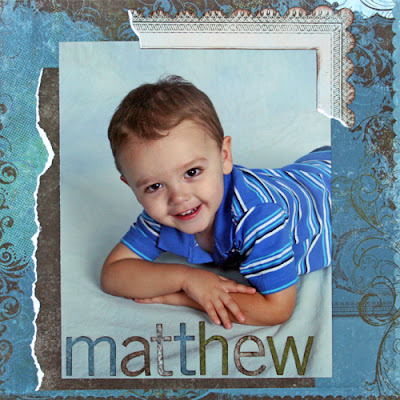 Besides getting to use my latest portraits of Matthew, my favorite project to emerge from this kit club is this fall mini album. The bare album was a RAK from my friend Tam, and all the added embellishments came from my ridiculous stash of fall supplies. I was happy to use some of them up and clear out the drawer for new ones. You can see the entire album in the slide show. Thanks for looking! I was pleasantly surprised to find a card of mine in my mailbox today. It had been returned by Scrap & Stamp Arts magazine because it is going to be in their November issue. I had no idea until today! And it even uses a sketch by my friend Di Hickman. Lots of things going on right now with injuries in the extended family and more travel to Puerto Rico for Scott. I'll update when I can!